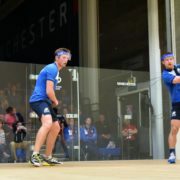 Kevin Moran provided a boost for Team Scotland’s squash players ahead of the Commonwealth Games doubles competition starting on Tuesday by winning the Men’s Classic Plate final this morning. Moran beat Bermuda’s Micah Franklin 11-8, 11-9, 11-8 on court one inside Oxenford Studios. It follows earlier wins in the event over Pakistan’s Farhan Zaman, Ernest Jombla of Sierra Leone and Othniel Bailey from St Vincent and the Grenadines. At Glasgow 2014 Moran reached the final of the Classic Plate final losing to Canada’s Shawn Delierre but was able to go one better on Australia’s Gold Coast this time round. His focus along with teammates Alan Clyne, Greg Lobban, Lisa Aitken and Ali Thomson now turns to the Doubles competition which starts on Tuesday morning. 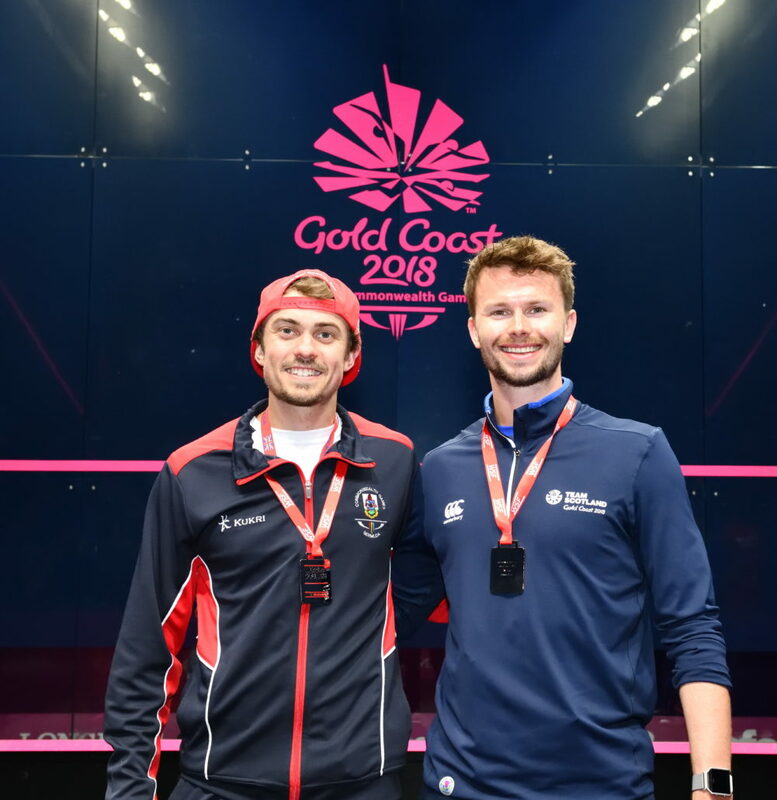 Hopes are high that 2016 Men’s World Doubles Champions Greg Lobban and Alan Clyne can secure Scotland’s first squash medal at a Commonwealth Games for 20 years. The formidable duo, who followed their 2016 success with silver at the 2017 World Doubles Championships, are seeded second at Gold Coast 2018 with Australia top seeds. They are drawn in Pool B alongside Guyana (15) and Zambia and scheduled to begin their campaign against Zambia on Tuesday (6pm Gold Coast time) on court three. Clyne said: “With Doubles, there’s no real ranking system so we were happy to see we’d been seeded second for the Games – although we’ve put in a lot of hard work so it’s well-earned. The pair claimed their 2016 World Doubles Championship gold against Australia’s Zac Alexander and David Palmer. Defending that title last year, they had to settle for silver against Australia’s Ryan Cuskelly and Cameron Pilley. Lobban added: “We’re pretty excited about the possibility of playing Australia again – however we’re very aware of the competition which will come before that which includes some real big threats. Also on Tuesday, over on the show court, at the same time as Lobban and Clyne, 10th seeds Lisa Aitken and Ali Thomson begin their Women’s Doubles Pool B campaign against England’s Jenny Duncalf and Alison Waters, seeded two. On Wednesday morning they take on the Cayman Islands before facing England’s seventh seeds Laura Massaro and Sarah-Jane Perry later in the day. Aitken is teaming up with Kevin Moran in the Mixed Doubles and they are seeded ninth. They are drawn in Pool H alongside India (8) and the Cayman Islands. Their first match is on Tuesday (12.30pm, Gold Coast time) against the Cayman Islands, currently scheduled for court three. Aitken said: “The doubles training is going really well. “Because doubles in squash is played every four years at the Commonwealth Games, you can develop a new tactic, new shot or new style of play that wasn’t around four years ago. “So we have a few tricks up our sleeve that we’ll try out – we’ve got nothing to lose. Moran added: “I can’t wait for the mixed doubles. “Lisa and I are itching to get on court and really go after the teams we have in our group. Full doubles draw, click here.